In 1987, a bustling shop on Harlem's busy 125th Street provided one-of-a-kind tailoring through appropriated luxury logos and kept musicians, celebrities, and just about every gleamy eye with a voracious appetite freshly laced. 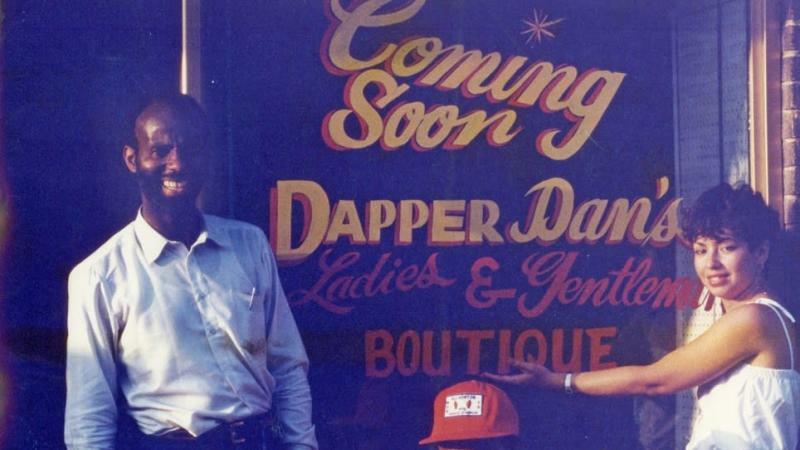 From 1982 to 1992, the 24 hours-operating Dapper Dan's Boutique, remained a cultural shrine. Born Daniel Day, Harlem designer Dapper Dan's "made to order" designs outfitted the likes of Mike Tyson, Eric B. and Rakim, LL Cool J, Salt-N-Pepa, infamous street hustlers, and beyond. But after a late '80s raid, led by then Fendi lawyer Sonia Sotomayor (now current Supreme Court Justice), Dan was forced to close his coveted shop's doors and watch the same fashion houses that shunned his designs replicate and ride the success of his work for decades. Now, 25 years removed from shuttering his boutique, Dapper Dan not only has plans to re-open his store, but he is also set to partner with Gucci for a capsule collection. As New York Times reports, the Harlem legend has officially teamed up with the Italian fashion house and currently appears in the Cruise 2018 men's tailoring campaign, which was shot by Glen Luchford. Next spring, a collection created by this partnership will be sold as part of Gucci's 2018 pre-fall range. The move comes months after the fashion house ended up in hot water for borrowing style inspiration from Dan's classic creations for its Cruise 2018 collection without any acknowledgment of its true influence. After fans blasted the label, Gucci eventually tagged Dan in its post, writing, "Legendary tailor Dapper Dan @dapperdanharlem influenced the trend by making such custom pieces for his rapper and athlete clients out of logos from famous fashion houses, including #Gucci." "In a homage to Dapper Dan," the caption continued, "this jacket worn with jeans and a lurex headpiece is flanked with a striped knit with cross-stitch embroidery, cotton shorts and a georgette gown with trompe l'oeil details." Now, the two sides have joined forces for quite the cultural benchmark. In addition to the partnership with Gucci, Dan is set to open a second-generation Dapper Dan's shop as a by-appointment studio for custom commissions by the end of the year.